The future is here! Glass paints, paints for glass, whatever you want to call them, these Color Line Paints allow users to easily create permanent imagery on glass just as on a canvas. 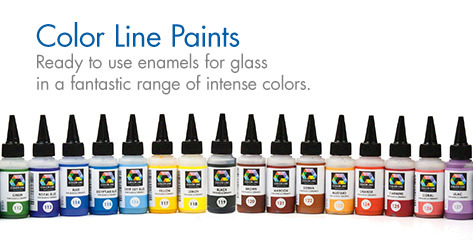 These revolutionary glass paints are available in a variety of colors.